Carnival Triumph is scheduled to depart Mobile, Ala., this afternoon under its own power bound for Freeport, Bahamas, to enter a dry dock facility where final repairs and shipboard operating enhancements will be completed, along with implementation of a variety of new Fun Ship 2.0 features. The ship is expected to arrive at Grand Bahama Shipyard on Saturday, May 11. 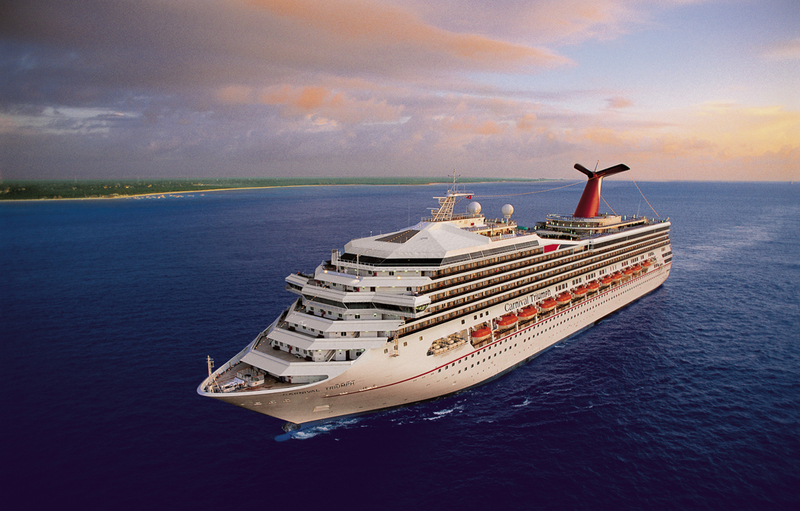 Following the dry dock, Carnival Triumph is slated to re-enter regular service from Galveston, Texas, June 13, 2013. “With the ship temporarily out of service for repairs, we decided to take the opportunity to add a host of new dining and bar venues that are part of our tremendously popular fleetwide Fun Ship 2.0 enhancement program,” said Gerry Cahill, president and CEO of Carnival Cruise Lines. Fun Ship 2.0 is a $500 million product-enhancement initiative being gradually rolled out across the Carnival fleet. Guy’s Burger Joint, a complimentary poolside venue serving fresh-made burgers and hand-cut fries created by Food Network personality and chef Guy Fieri. BlueIguana Cantina, a free-of-charge Mexican cantina with custom-made tacos and burritos that can be personalized by diners at an extensive salsa and toppings bar. Alchemy Bar, a cocktail “pharmacy” where highly trained mixologists create custom cocktails using interesting flavors and ingredients. EA SPORTS Bar, an interactive sports-themed lounge where patrons can view live action, play popular EA SPORTS video games and keep up with the latest scores. RedFrog Rum Bar, a poolside Caribbean-themed watering hole offering a variety of the region’s top rums and beers in a laid-back island-infused atmosphere. BlueIguana Tequila Bar, a lively and engaging poolside bar serving frozen cocktails and Mexican beers in a fun and festive environment. In addition to installation of the Fun Ship 2.0 features and other repairs, as part of a $300 million fleetwide program announced in April, Carnival Triumph is being outfitted with new systems to improve operating reliability to further prevent a potential loss of primary power, an upgrade in fire detection and suppression systems, and, in the rare event of a loss of main power, additional emergency backup power to provide core hotel services to ensure guest comfort. When Carnival Triumph resumes year-round service from Galveston June 13, the ship will sail four-day cruises to Cozumel, Mexico, and five-day cruises to Cozumel and Progreso, Mexico.